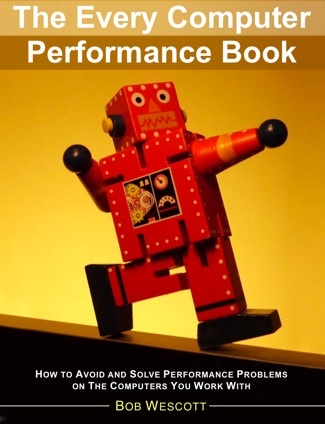 I wrote this book to give back to the next generation the fundamental insights I’ve gathered in my 25 years of doing computer performance work. What’s Cool About This Book? •It works for any collection of computers you have. It teaches you how to use whatever meters they give you and how to discover more about those meters than the documentation reveals. •No complex math needed, yet it allows you to easily use some fairly advanced techniques. •It helps with the human side of performance. It shows you how to get help and how to present your findings (good or bad) all the way up to the CIO level. •It is full of practical advice from someone that has been there and done good work on live systems and websites all over the world. •It is reasonably priced (less than $20USD) in all formats. If I can retire in my mid 50’s and have this much fun, then I most likely did good work and have have something to teach you.